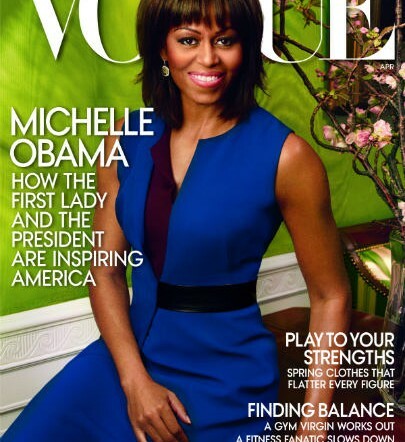 FLOTUS on the Cover of Vogue! 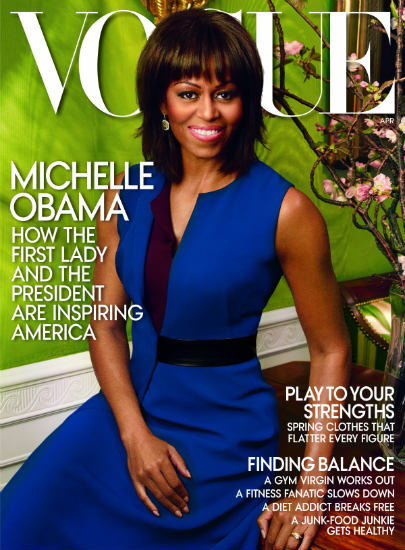 Michelle Obama is on the cover of the April issue of Vogue. Love the hair, love the dress, love everything. What, this ol’ hubby? Yeah, he’ll do. 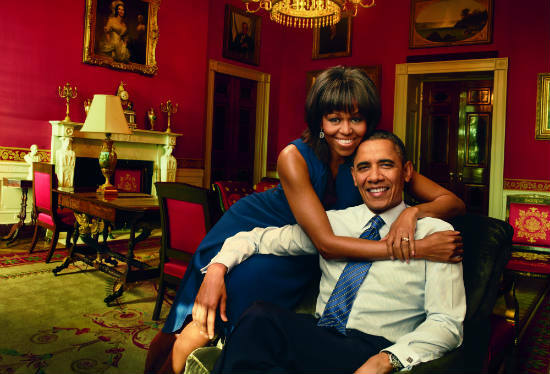 Still, Michelle does look rather lovely in these pictures. I think the bangs suit her very well.